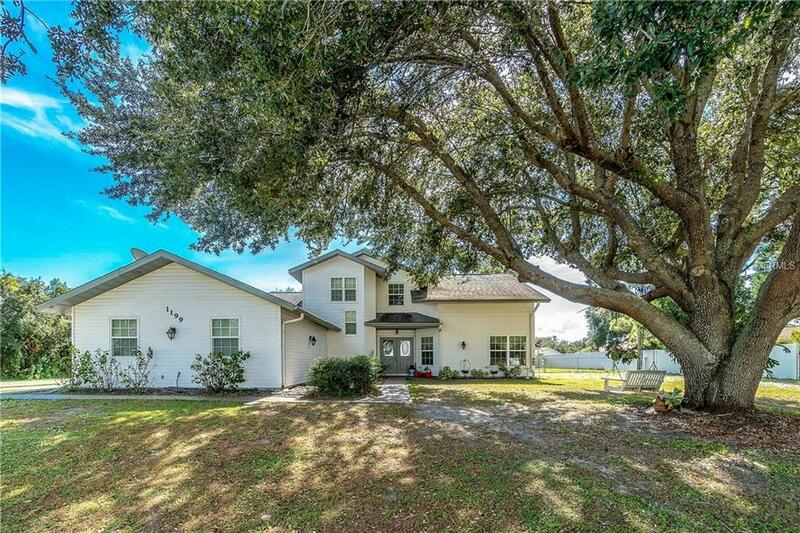 Great opportunity to own this beautiful two-story home of "classic" colonial design on acres of land right here in Port Charlotte. 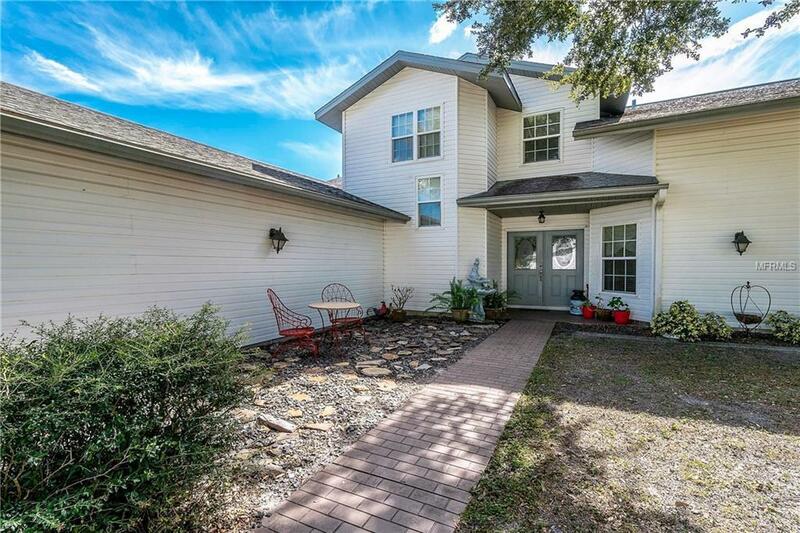 With 2,630 square feet of living space this home boasts 3 bedrooms, 3 bathrooms, pool and 2-car garage. 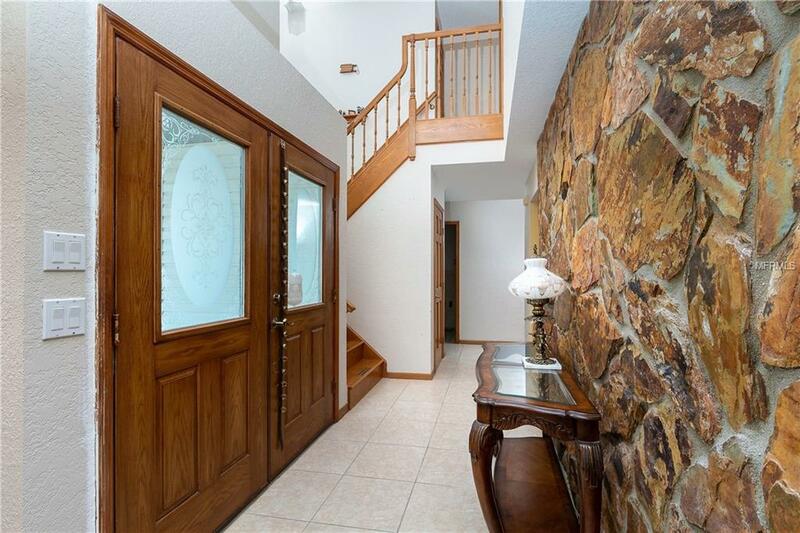 Enter double etched glass doors to the foyer with rustic rock wall. 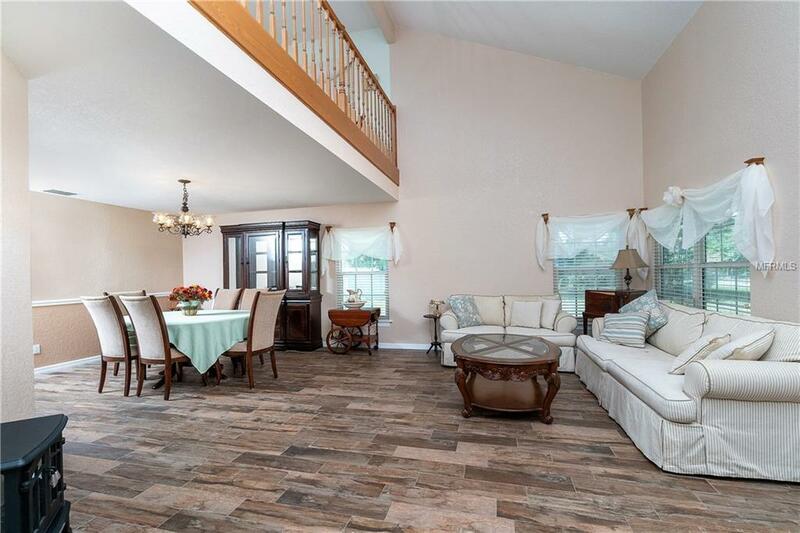 Formal living/dining room is to the right and has new wood tile flooring and 2-story ceiling heights. The stairs have oak railings and lead to the second-floor master suite which is comprised of a large master bedroom with oak wood flooring and master bath with dual vanity areas and large walk-in shower plus an open loft overlooking the living room. Both main-level guest bedrooms and bath are large and have walk-in closets. The kitchen is a chefs delight and features stainless steel appliances, loads of storage, a large center island, granite counter-tops and back-splash. Kitchen is open to the eat in breakfast space and an over-sized family room with wood burning fireplace. Several sets of French doors lead out to the lanai and the large screened in pool (with child safety fence). Pool deck features brick pavers. Doorway entry to full pool bathroom. The huge pool area overlooks the large side and rear yard with fence. Home also features storage shed, hurricane impact windows throughout with storm panels for all exterior doors and additional bracing for the garage door. Laundry room with utility sink and generator connections. This home is a must-see to appreciate all that it has to offer!